Groundwater from aquifers is a main source for drinking, irrigation and industrial use for much of the world’s population. Globally, an estimated 4 billion people depend on groundwater for drinking, but the water is running out! 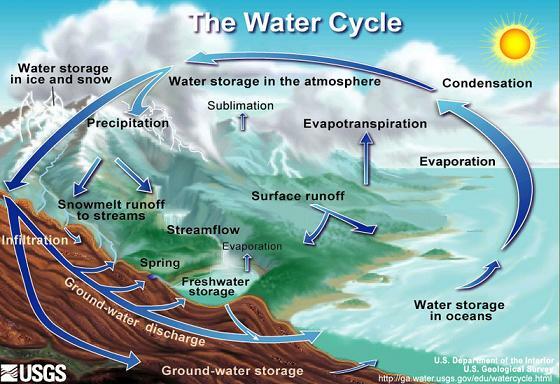 Groundwater cannot be replenished from rainfall, and in most cases it takes tens of thousands of years to restore naturally. According to the International Water Management Institute, about 1,000 cubic kilometers of groundwater are withdrawn each year, which is wholly unsustainable! Water, our most precious resource, is also the world’s most abused, misused and neglected resource. Water consumption throughout the world is rising mainly due to increasing demands by both industry and irrigation for large volumes of fresh water. Nearly a third of the world population (2 billion people) have NO access to clean drinking water and just under half of the world population (3 billion) lack proper sanitation facilities. An estimated eighty percent of all illnesses in the developing world are water-related. Up to 4 million people die each year from water-related diarrheal diseases caused by bacterial infections, parasites and viral pathogens. Volume of Fresh water: Approximately 35 x 10^15 m³ of the earth’s total water. About 0.3% of the freshwater is held in rivers, lakes, and reservoirs and the remainder is stored in glaciers, permanent snow, and groundwater aquifers. 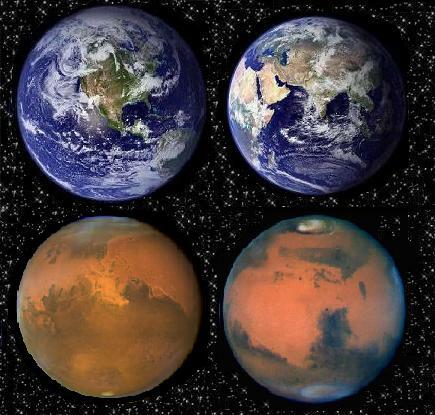 Water removed from the earth’s surface via evaporation: about 577 x 10^12 m³ each year (only 14% of the water evaporation is from land). Total freshwater on Earth stored as groundwater: Approximately 11 x 10^15 m³ (30% of all freshwater). Aquifers contribution to human water consumption: an estimated 30% [?] of all of the water used throughout the world. Natural recharge rate for the aquifers: from 0.01% to 3% per year. Humans are mining groundwater resources, especially the aquifers. Water withdrawal rates from aquifers are drastically higher than their natural recharge rates. In short, we are running out of water! 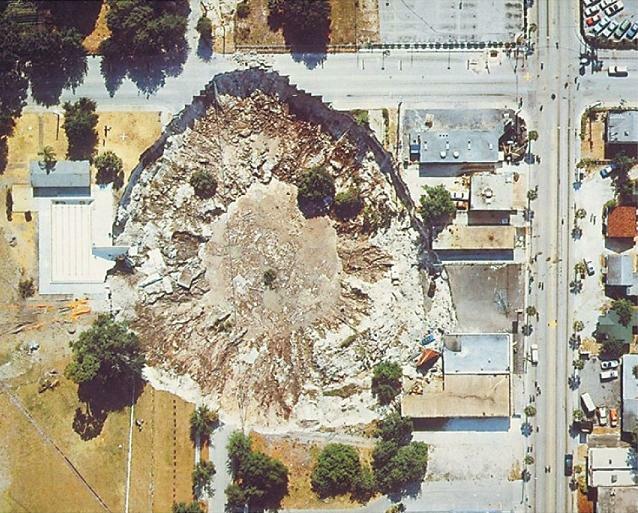 World cities and agricultural lands that are situated above aquifers and groundwater reserves are slowly but permanently sinking into the ground, as the water is pumped out at phenomenal rates. In China, at least 46 cities are sinking into the ground due to the excessive pumping of groundwater. 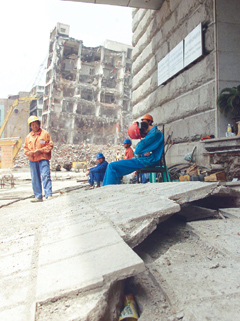 In Shanghai excessive groundwater pumping contributes to 70 percent of surface subsidence (the remaining 30 percent is thought to be due to the weight of buildings). Shanghai’s No 4 subway construction site. [Photo: China Daily] See Fair Use Notice! In the southern and eastern suburbs of Bangkok, Thailand, about 1,000 square kilometers of land are sinking at a rate of 5-10 cm (2-4 inches) annually. 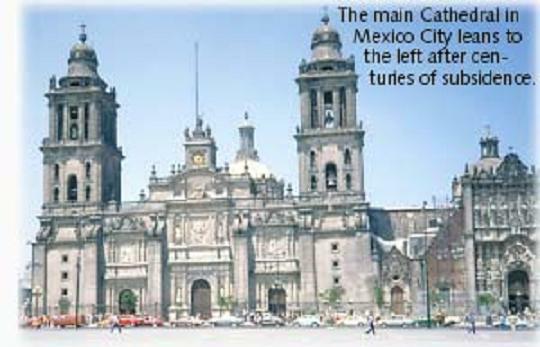 The main Cathedral in Mexico City leans to the left after centuries of subsidence. Total global water footprint is 7,450 km³ per year (7,450Gm³ per year). Food production in the U.S. is responsible for 25% of the country’s toxic water pollution and 40% of the common water pollution. Average national water footprint per capita (m³/capita/yr). Green indicates a national average water footprint of equal to or smaller than global average. Countries marked in red have a larger water footprint than the global average. Source: A. Y. Hoekstra et al. 2005. Water footprints of nations: Water use by people as a function of their consumption pattern. 1. Above calculation is based on 1,000L of water that is pumped, bottled, delivered, sold and consumed locally, i.e., traveling a total distance of about 130 miles (209km) from source to mouth. The total energy required for production was calculated at 69,162,640kJ, equivalent to 2,034L of gasoline, or 4,699kg of CO2 emissions (Michael Bigelow et al , 2005, THE PIPE OR THE BOTTLE? A Case Study on Energy Consumption, Harvey Mudd College, University of Bradford, UK). 2. According to the above study, the energy requirement for delivering 1,000L of tap water (Yorkshire, England) was about 269,345kJ (about 7.92L of petrol or approximately 18kg of CO2 emissions), making bottled water 257 times more energy intensive than the tap water. 3. Packaging (manufacturing the PET bottles) and shrink-wrapping the bottled water (assumes locally produced water) is responsible for 97.8% of its energy costs. 4. For Bottled water produced internationally add 4.5grams of CO2e equivalent greenhouse gases for each air mile traveled. 5. One liter (L) is 1,000cc, or about 1.057 quarts, 33.827 fluid ounces, or 1/3.785 US gallon. 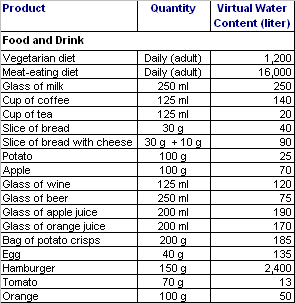 Table 1. below shows the virtual water content (global average) for selected food and drink. For virtual water content of more products see: Table WVC2. For more products see Table VWC2. Table VWC2. Virtual Water Content (Global Average – Selected Products). Click on the table to enlarge image. World’s groundwater reserves are running out! Start conserving water before the earth’s water reserves run completely dry! – Newson, M. 1994. Hydrology and the River Environment. Clarendon Press. Oxford, England.